Below you will find Top Kendriya Vidyalayas in Lucknow 2018, List of Best Kendriya Vidyalaya Schools in Lucknow Region. 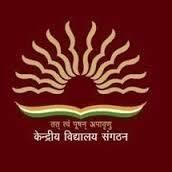 Kendriya Vidyalaya SGPGI, Lucknow is a co-ed school managed by Kendriya Vidyalaya Sangathan. Kendriya Vidyalaya Gomti Nagar is one of the premier Vidyalayas of the country. Kendriya Vidyalaya Aliganj, Lucknow is affiliated to Central Board of Secondary Education, New Delhi and syllabus is provided under the patronage of national council of educational research and training. Kendriya Vidyalaya IIM is situated on the premises of the campus of the prestigeous IIM, Lucknow.